Chai is everywhere. 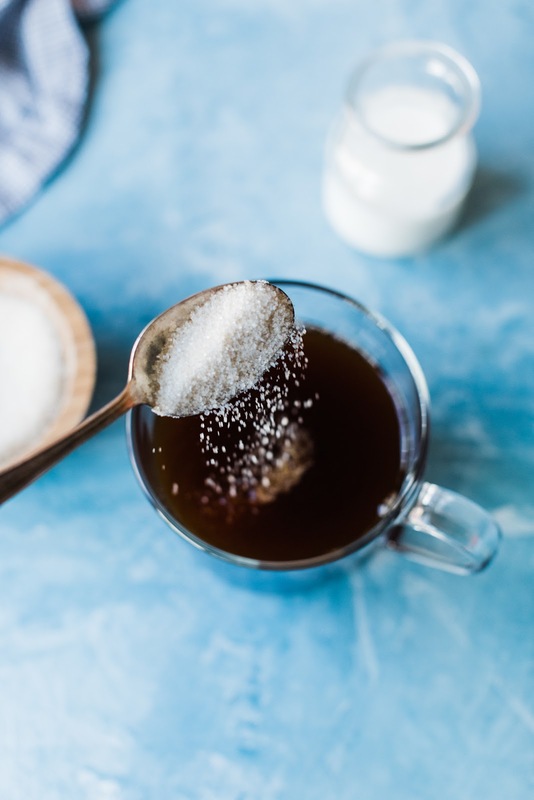 From baked goods to spiced beverages, the popular Indian spin on tea has taken the American world by storm from the coffee house to the tea shop. Dirty chai has become particularly popular thanks to its boost of caffeine that can power up your day. We’ve created our own spin on the classic dirty chai by blending it with rooibos teas leaves. With our rooibos loose leaf masala chai, you can whip up the popular coffeeshop drink in your own home. 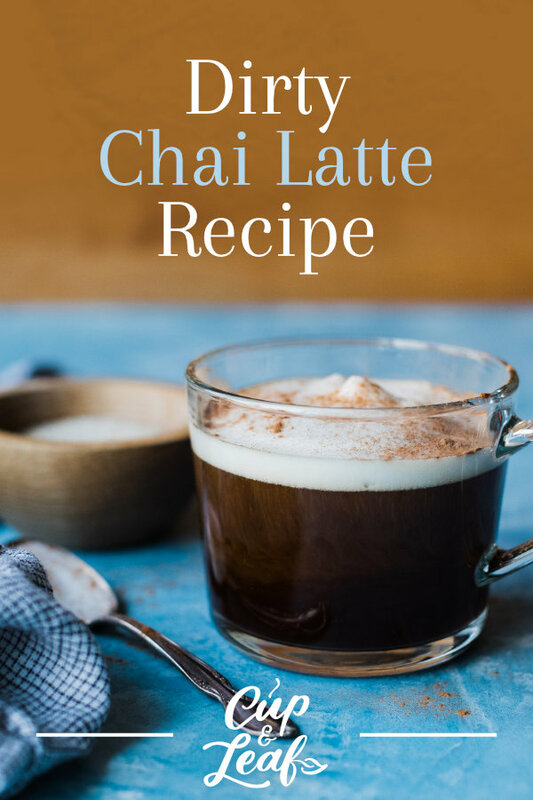 Read on to find out how to make a dirty chai latte. A dirty chai, or chai charger, is a popular drink found in coffeehouses from Starbucks secret menu to the local coffee shop. It’s made by blending shots of espresso into masala chai tea—a traditional Indian beverage. Masala chai is typically made using five spices including cardamom, ginger, cinnamon, cloves, and black pepper. 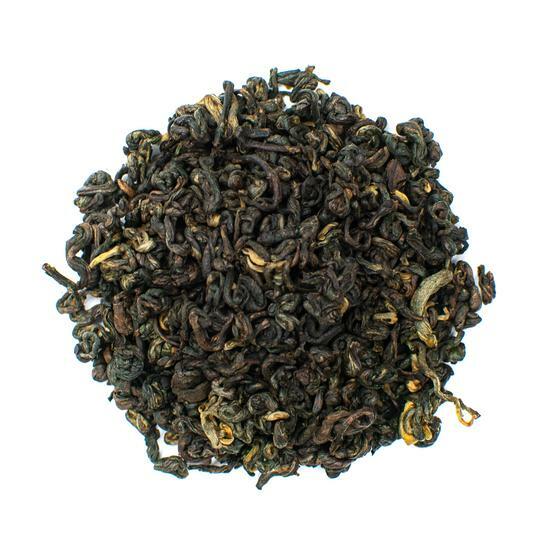 It’s also frequently brewed with black tea bags or loose leaf black tea. 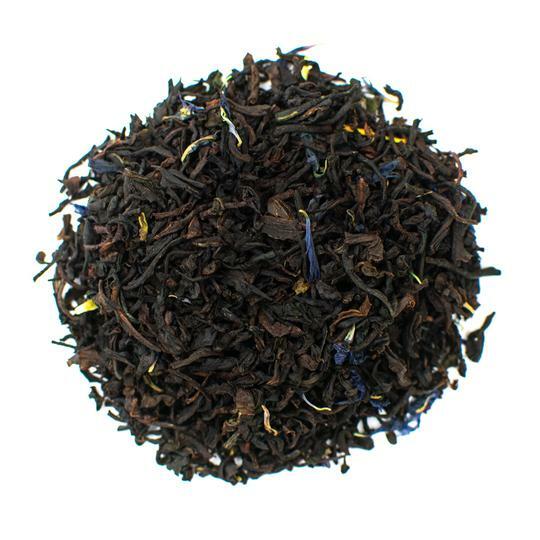 Most renditions use traditional Indian black teas such as Assam or Darjeeling. Our dirty chai tea latte recipe takes the guesswork out of chai. 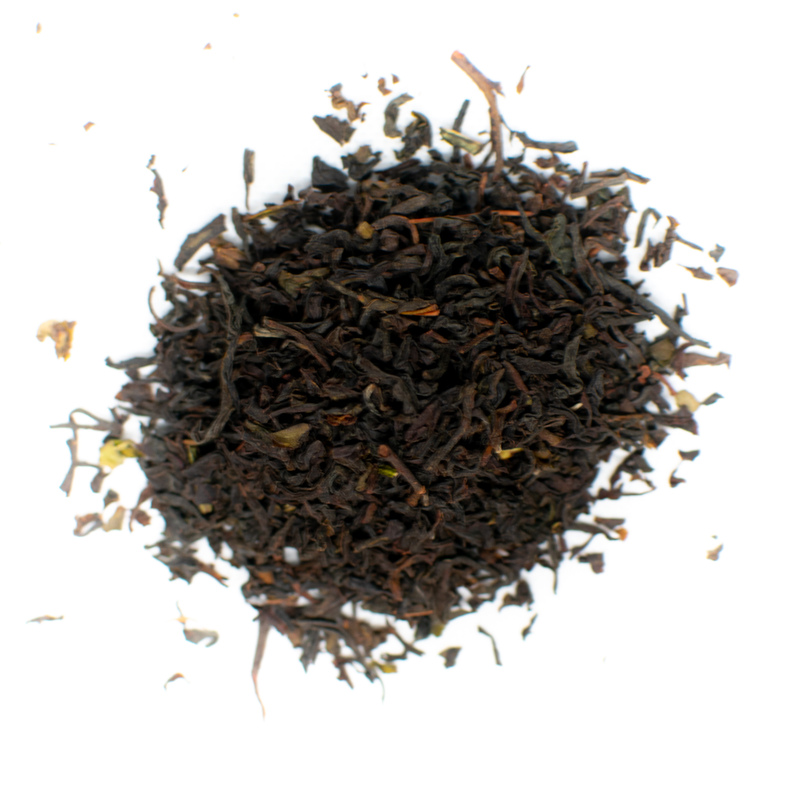 Using our rooibos masala chai loose leaf tea, you can brew a delicious take on the classic dirty chai. 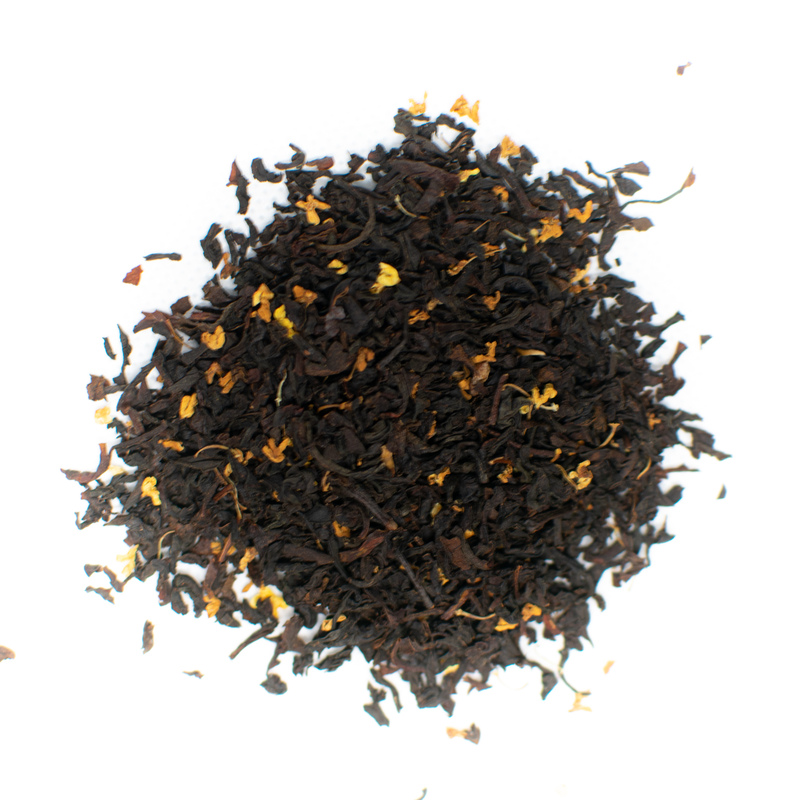 Instead of black tea leaves, our blend incorporates African red rooibos leaves. This gives the classic drink a fruity dimension that makes it even more delectable. Rooibos tea leaves are harvested in the spring from the red bush plant that grows exclusively in the Cederberg mountains of South Africa. Rooibos offers a flavor profile similar to hibiscus tea with fruity and floral flavors that add a vibrant flavor to regular lattes and standard masala chai blends. Pour boiling water over tea leaves and steep for 6 minutes. Brew espresso using an espresso machine or brew coffee beans as normal. Stir in espresso shot/coffee and sugar. If you have a milk frother, froth the milk and top your tea with the foamy milk. If you don’t have a frother simply stir in the milk. Our dirty chai recipe calls for whole dairy milk because whole milk elicits the spicy flavor of the masala chai spices better than nonfat or low-fat milk. For a dairy-free or vegan alternative, you can swap out the whole milk for coconut milk, soy milk or almond milk. We love chai and we think you will too. 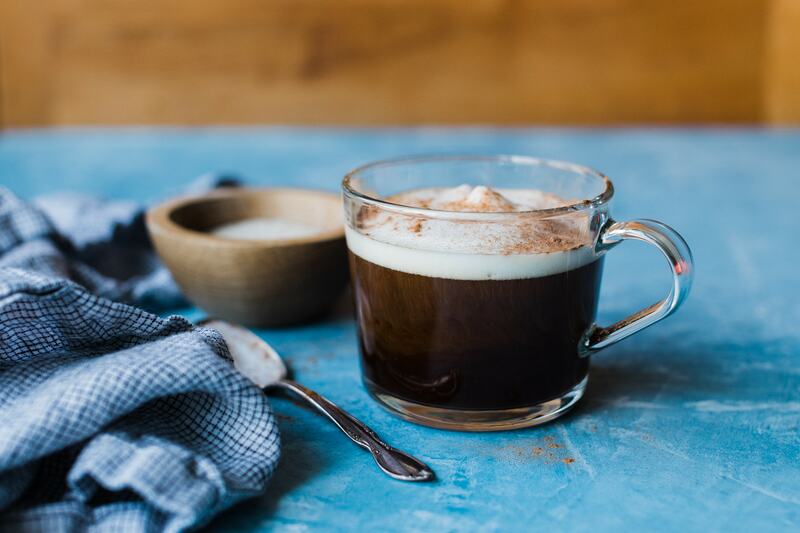 Use this print recipe to make a dirty chai latte just like a barista. Don’t be afraid to mix things up and play with the ingredients. 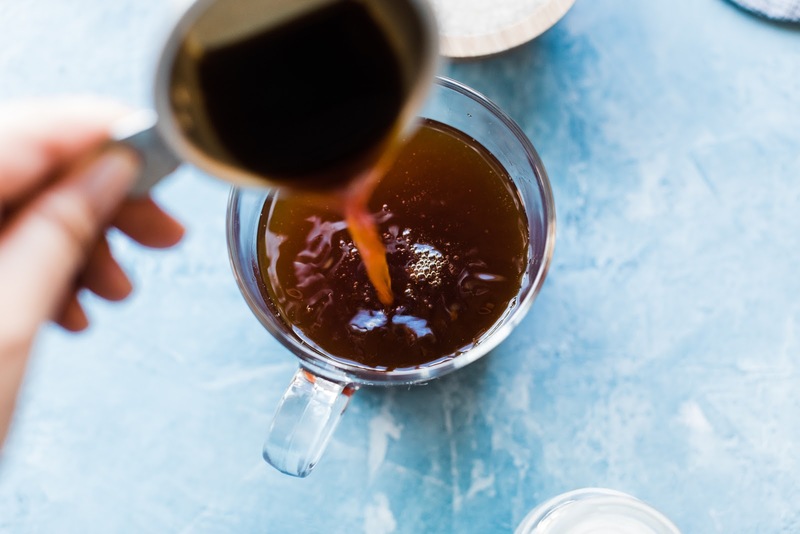 Swap out the sugar for locally grown agave or add an extra kick of energy by using two shots of espresso instead of just one single shot of espresso. Turn it into an iced dirty chai latte by letting the chai concentrate cool to room temperature and serve with ice cubes. 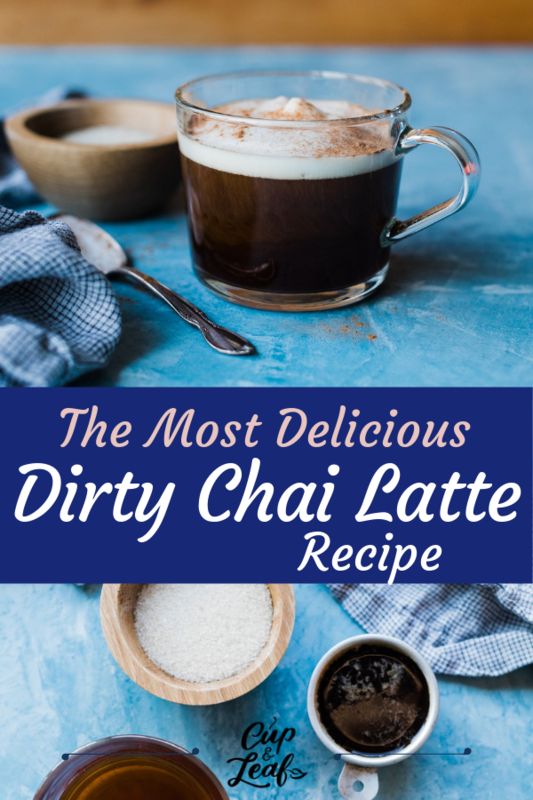 Dirty chai is so much more than an espresso drink. 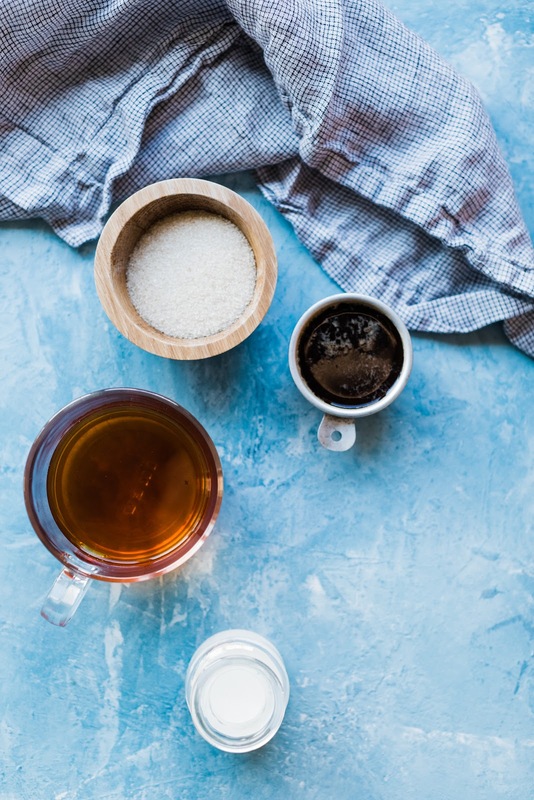 Try whipping up dirty chai muffins, dirty chai pancakes, and dirty chai cupcakes by adding these basic ingredients to your favorite recipes. You’re only limited by your imagination so try this recipe today and start experimenting.